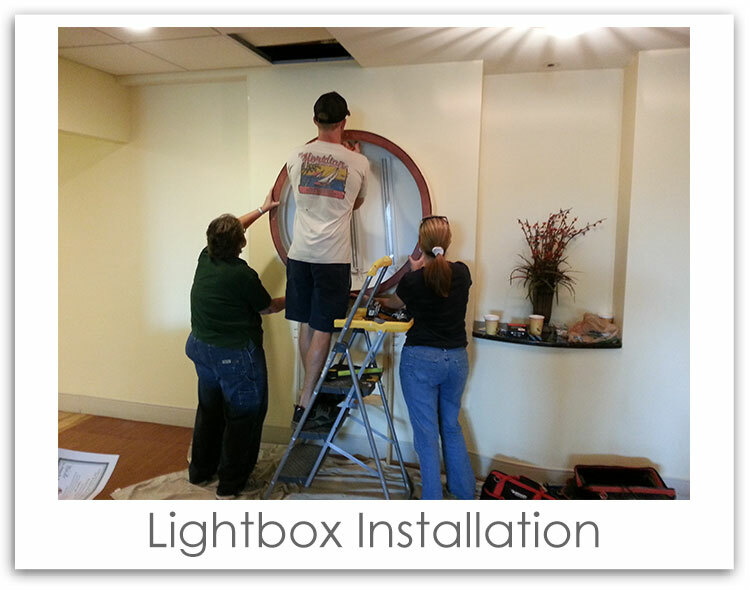 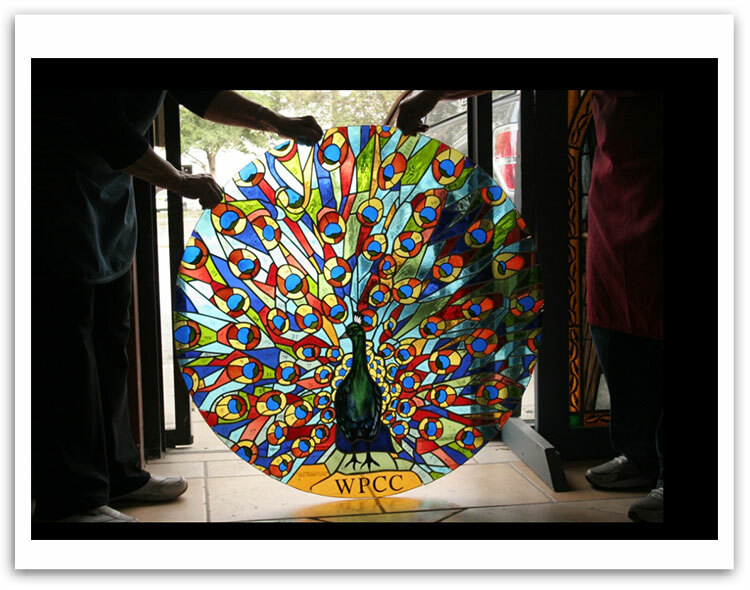 Joe Merkley designed this 3′ X 3′ stained glass lightbox that is displayed in the patient waiting area of the WPCC clinic. 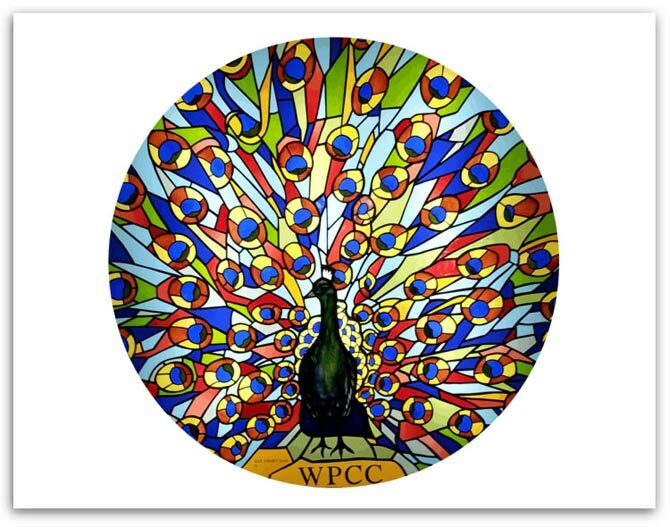 The many eyes of the peacock feathers represent the attentive eyes of care & compassion that Winter Park Cancer Center offers. 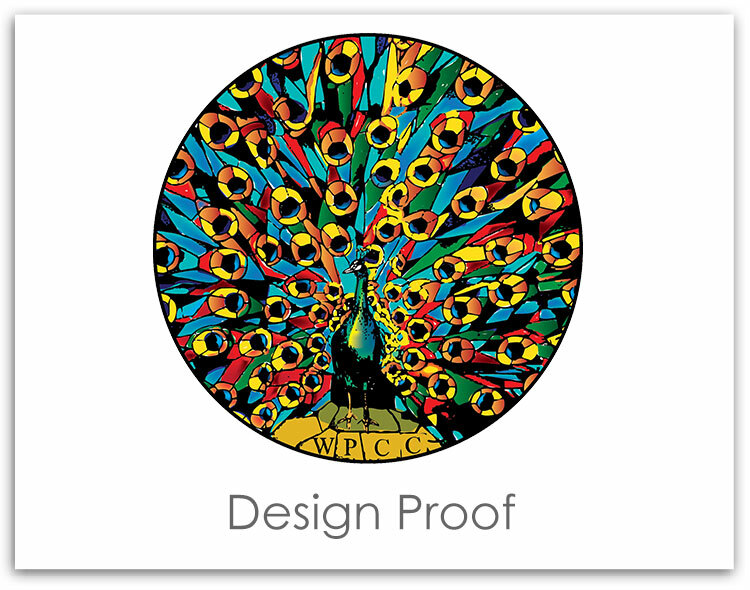 The peacock is also a bright and cheery image for patients that are dealing with life threatening medical issues. 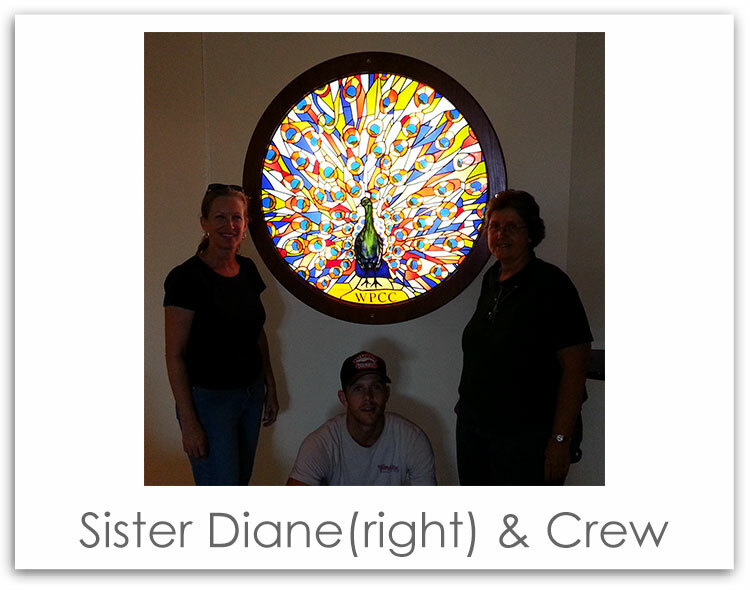 Joe contracted with Sister Diane, of the Sisters of St Joseph Architectural Stained Glass company in St. Augustine, FL. 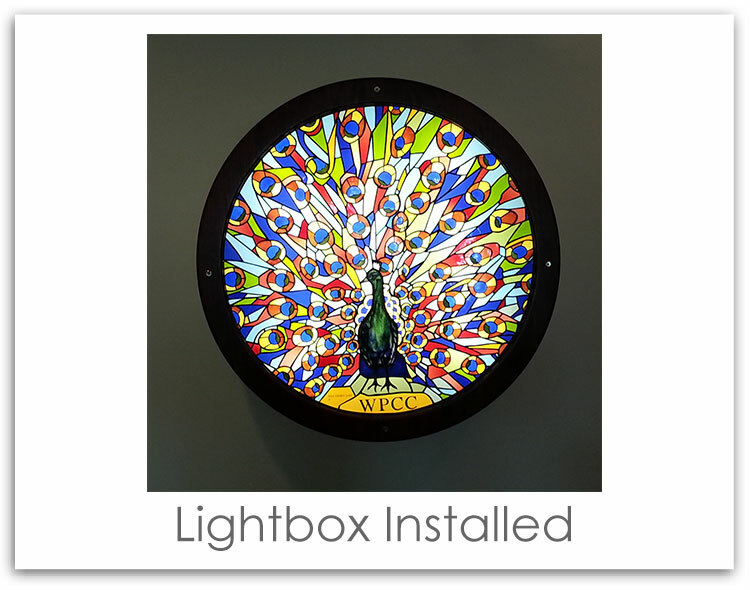 Sister Diane and her extraordinarily talented associates hand-made the stained glass image and the hand-made wood lightbox.